The RVS is a solar powered, passive infrared, wireless vacancy sensor. The Resonate Vacancy Sensor combines a sleek, non-intrusive design with advanced power management circuitry to minimize solar harvesting requirements. The RVS will operate as a self-powered vacancy sensor in low light conditions and with the addition of a battery can also support auto-on Occupancy sensor applications. ZIP Economizer – Fast Route to Reliable Energy Savings. The ZIP Economizer solves the issue of non-functioning energy wasting economizers by offering reliable energy saving airside economizing with fault messages, alarms, and superior troubleshooting capability. ZIP Packs provide a simple and quick replacement kit for those nonfunctioning energy wasting economizers. The ZIP Packs are packaged under one single part number and convenient boxed together which include a digital economizer capable of DCV, exhaust fan, VFD integration, 2 speed fan, actuator, sensors, and mounting hardware needed for a drop in replacement backed with 5 year warranty. Building Robotics launches its latest product Trendr, a powerful, low-cost data acquisition tool allowing commissioning agents, analytics providers and integrators a way to stream real-time trend data within 15 minutes of installation on a BACnet control system. Building Robotics, based in Oakland, CA, was founded in 2012 to bring cutting-edge software to commercial building controls industry. Learn more about the software and the team at www.buildingrobotics.com. 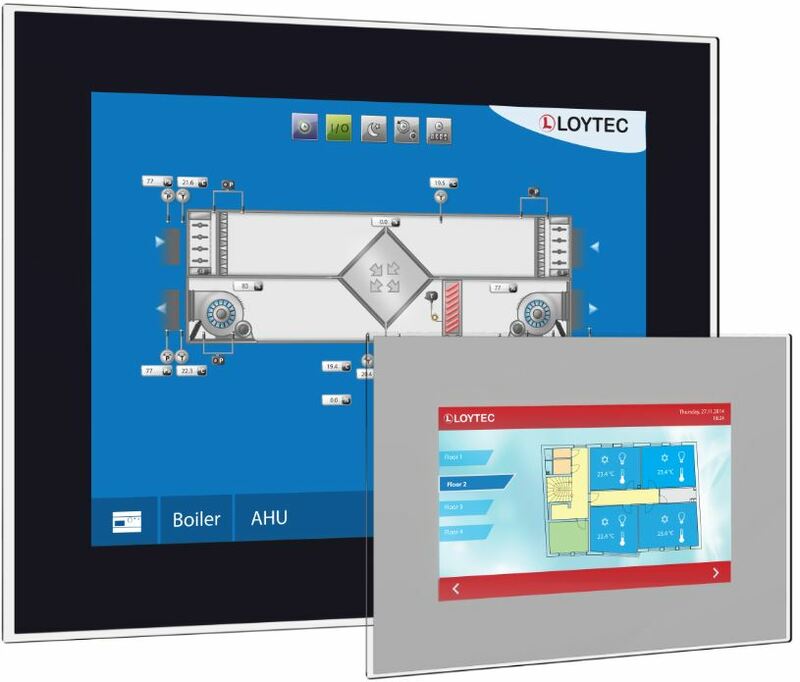 L-VIS, the LOYTEC product family of L-VIS Touch Panels is expanded with a range of new devices. Completely new are the glass L-VIS Touch Panels with 7” and 15”. The glass surface provides a high-quality, modern appearance. The capacitive touch sensor allows for operation without any pressure on the surface – as we are accustomed to from smartphones or tablets. Because of the glass surface without any corners and edges, the glass L-VIS is perfectly suitable for use in clean rooms or hygienically demanding areas such as care facilities or hospitals. In addition, this new generation of devices brings along the merging of BACnet and LON models that have been available separately to date. E+E Elektronik expands its product range with various sensors for passive temperature measurement for HVAC and building technology. The compact, innovative enclosure with protection class IP65/NEMA 4 facilitates easy and fast installation of the sensors. Due to external mounting holes the sensors can be installed with closed housing, which protects the device from building site contamination. The new temperature sensors line matches the design of the successful E+E humidity, CO2 and air velocity sensors. The result is a comprehensive HVAC sensor choice, with a uniform look, from a single manufacturer. Pelco by Schneider Electric today introduced the MultiSight video service for the Pelco channel. According to company officials, the service is designed for retailers, convenience stores, restaurants and other businesses with many locations. 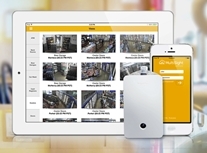 The MultiSight video service allows managers to stay on top of what’s happening in their stores — no matter where they are. Businesses save with a low monthly fee, which covers: hardware, installation, apps (Apple and Android), cloud services and storage, support, maintenance, updates, and system health monitoring. Visit www.pelco.com/multisight to learn more.